The first time that I tasted Broccoli Salad was at a pot luck dinner party several years ago. I can honestly tell you that it was love at first bite. I pleaded for the recipe, but when I finally received it, I was disappointed. 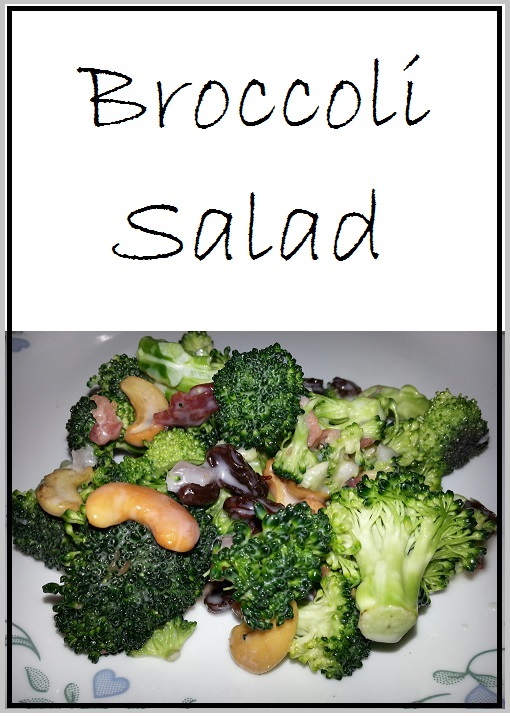 I didn’t think that the written recipe produced the same delicious combination of flavors that I had experienced, so I spent the next several months perfecting the recipe for Broccoli Salad until it tasted just right. Give our recipe for Broccoli Salad a try and let us know what you think by leaving a comment below. A simple and delicious salad that's both sweet and tart. Broccoli Salad will quickly become a favorite with your family. Mix together mayonnaise, sugar, and cider vinegar. Set it aside. 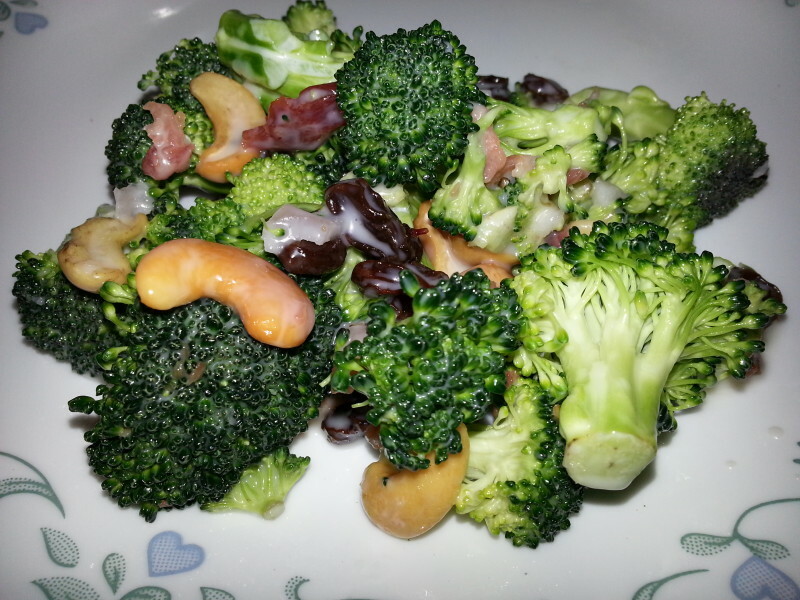 Place broccoli, bacon, onion, raisins, and cashews in a large bowl. Pour dressing over salad and mix well to fully incorporate dressing into salad. Canned or Frozen, Which is the Best Value?